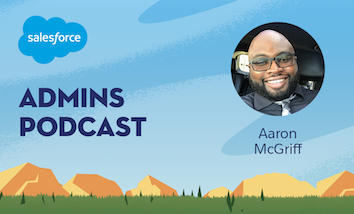 Today on the Salesforce Admins Podcast we’re joined by Aaron McGriff, Salesforce Business Systems Analyst at Masco Cabinetry in Detroit. 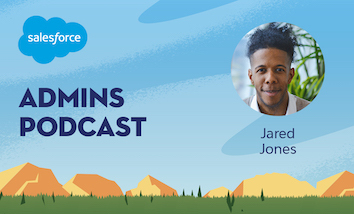 We’ll learn about how Salesforce and Trailhead helped him go from unemployed to recording live on the Dreamforce stage. 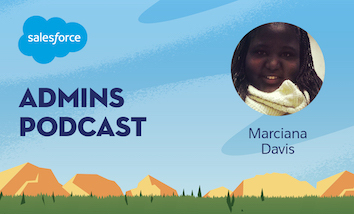 Join us as we talk about why sharing his experiences changed his Salesforce learning journey, the incredible power of the Salesforce Ohana, and how to battle imposter syndrome. You should subscribe for the full episode, but here are a few takeaways from our conversation with Aaron McGriff. From unemployed to Salesforce Admin. 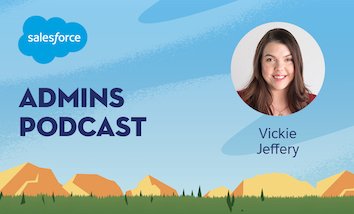 Battling imposter syndrome with the power of the Salesforce Ohana. “Whenever I do something right I giggle to myself,” Aaron says, “and every time I got a new badge in Trailhead I was just laughing to myself because I was actually getting it and doing stuff right.” The connections he had made on Twitter motivated him to come to community events, and he found himself at Midwest Dreaming. From there, he ended up in his new job at Masco Cabinetry. “Seeing just how big Dreamforce is, it’s just kind of awe-inspiring that I’m actually here,” Aaron says. The Salesforce Ohana (and a lot of hard worked) helped him get there, and hopefully many more to come.